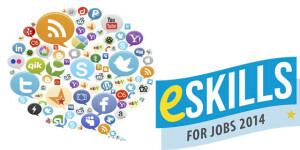 Currently, I am working on the Social Media Mix for the European Commission’s eSkills for Jobs 2014 campaign, and this on behalf of my newest client, European Schoolnet. The “Social Media Mix” is the combination of social media channels that you identify as best suited for reaching your target audience, taking into account the restrictions set by your social media budget. It is important to perform a good audience segmentation first, as this will help you in determining the social media channels that fit your target audiences. In this post I describe how I established the Audience Segmentation and Social Media Mix (or “Channel Strategy”) for the eSkills for Jobs 2014 campaign. 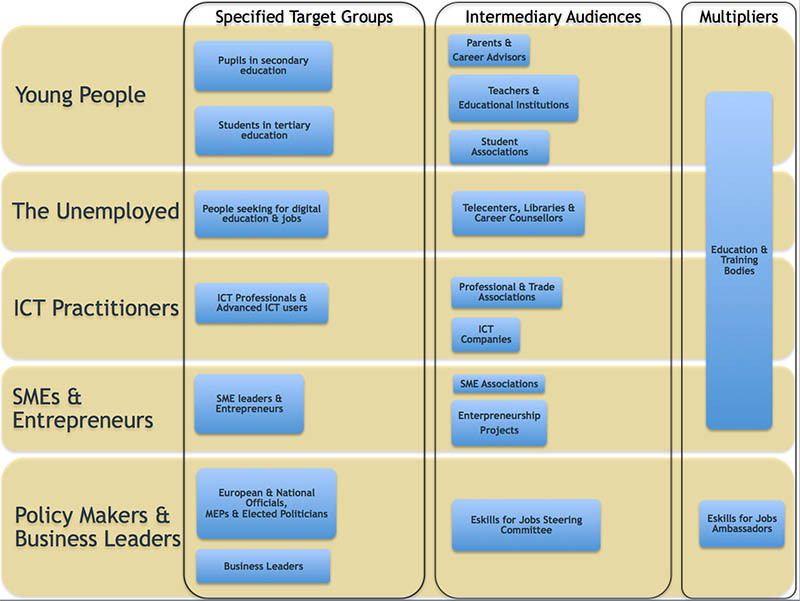 The eSkills for Jobs 2014 already has an overall Communications strategy in place, including an Audience Segmentation that contains 5 main target audiences (Young People, The Unemployed, ICT Practitioners, SMEs & Entrepreneurs, Policy Makers & Business Leaders) and 1 intermediary audience (Teachers & Trainers). 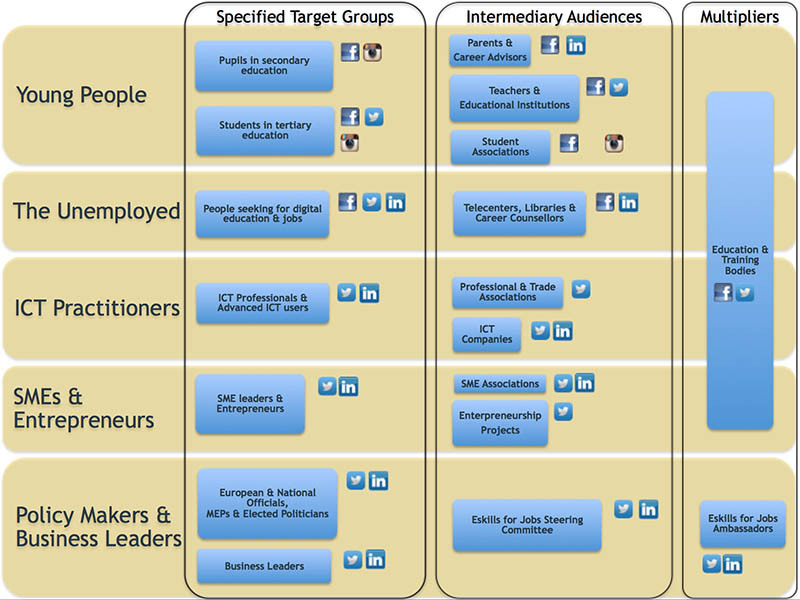 The next step was to identify those social media channels that are most likely to be used by each of the target audience segments, based on general information regarding user types & demographics of different Social Media networks . Students for example are said to be the main users of Tumblr. 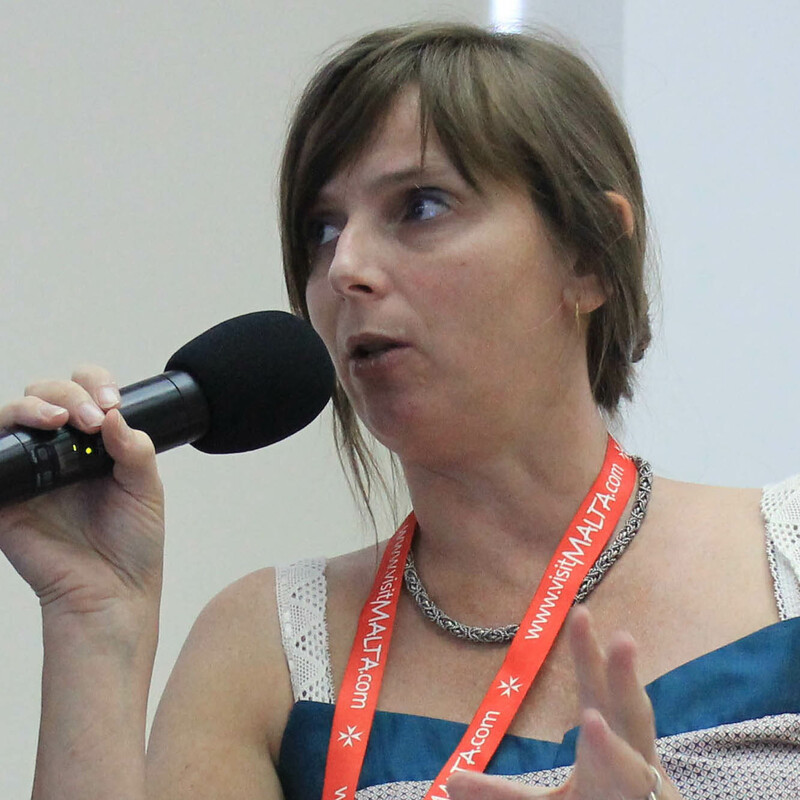 Google Plus is also said to be heavily used by students, together with tech savvy people. On the other hand, young people do not use LinkedIn at all. In this case, also the criterium of social media network users being easily identifiable as belonging to a specific audience segment was used to identify a channel as a candidate for the Social Media Mix. Enterpreneurship Projects for example are easily identifiable through Twitter’s bio, while for Parents this isn’t the case at all.